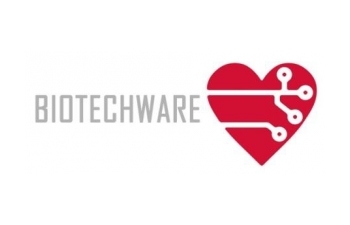 The mission of Biotechware is to develop and distribute technology solutions for telemedicine market, in Italy, Europe and America, starting with a new solution for recording electrocardiograms. The offer of Biotechware is aimed at professionals interested in offering a professional ECG service (pharmacies, clinics, general practitioners, sport centers, etc.). The offer is particularly convincing for pharmacies which feel the strong need to differentiate themselves from the new forms of competition that are entering the market and to increase their sources of income through the provision of new services. The offer of Biotechware consists of CardioPad Pro: a professional device 12 leads to the recording of electrocardiograms (ECG). The ECG record is then sent to a Cloud Platform via UMTS or WiFi connection. The cardiologist evaluates, within a predefined time, the ECG record and issued a medical report. The patient receives a notification that the ECG record was issued. Ther report, together with the recording, can be read online though the Platform or can be retrieved as a printout in the point of acquisition. The device is fully developed by Biotechware. Biotechware is certified ISO 9001, ISO 13485 and complies with the requirements stated in Directive 93/42/EEC. TENSIOPOD is a portable monitor of the arterial pressure that allows recording the blood pressure and pulse frequency.